On Tuesday, a pair of bouts were added to the “UFC 169: Cruz vs. Barao” lineup. A lightweight battle with Tony Martin and Rashid Magomedov and welterweight scrap between Neil Magny and Gasan Umalatov were both announced for the February 1 event. Prudential Center in Newark, New Jersey hosts the festivities. A pair of championship affairs headlines the pay-per-view broadcast. 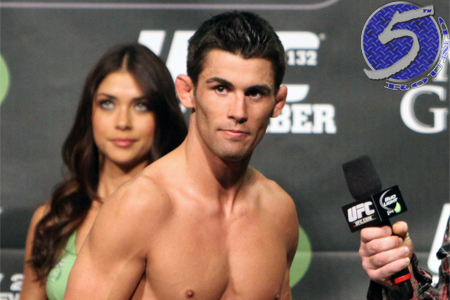 A bantamweight title unification bout with champion Dominick Cruz (pictured) and interim champ Renan Barao serves as the night’s featured attraction. Featherweight king Jose Aldo defends his throne against Ricardo Lamas in the co-main event.